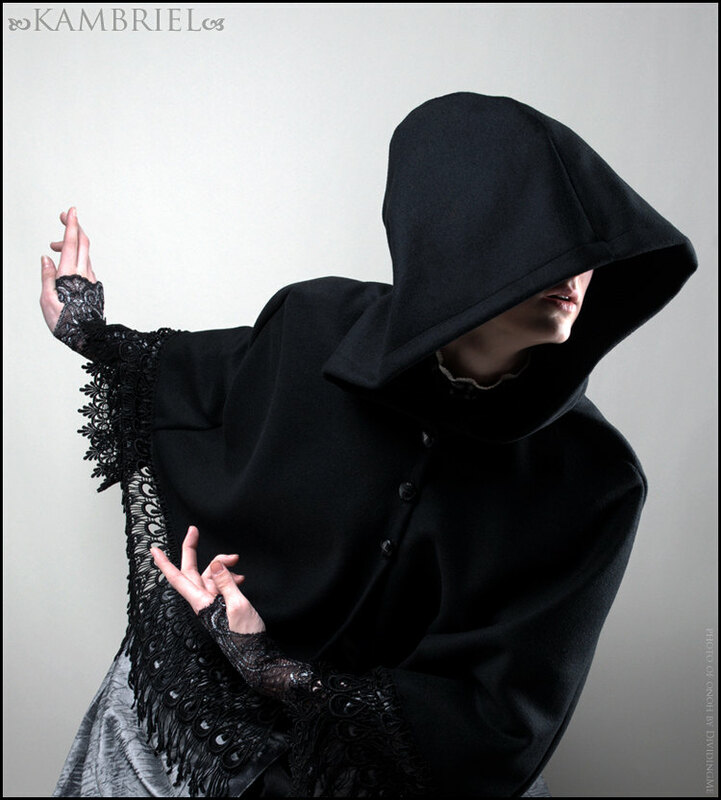 This hooded capelet from Kambriel evokes a sense of timeless mystery and everyday magic... 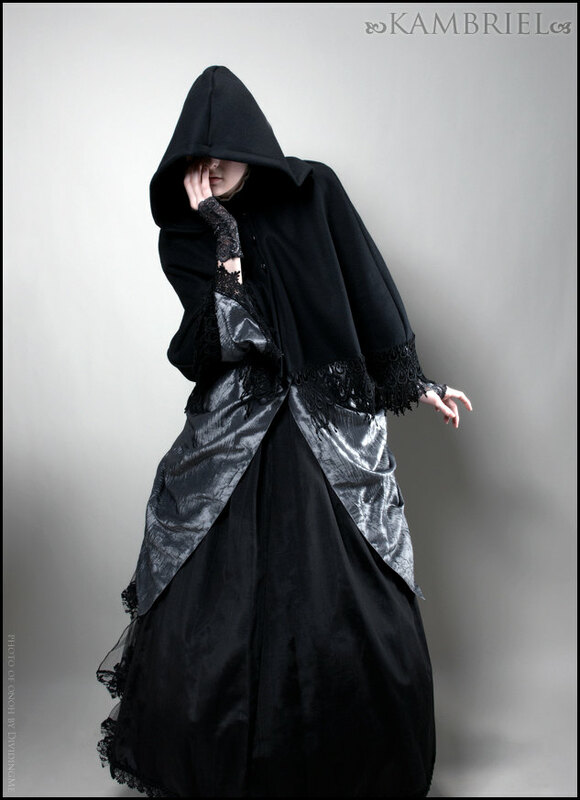 It is made from black wool, falls gracefully past the shoulders, and features long lace trim reminiscent of black peacock feathers along the lower hem. 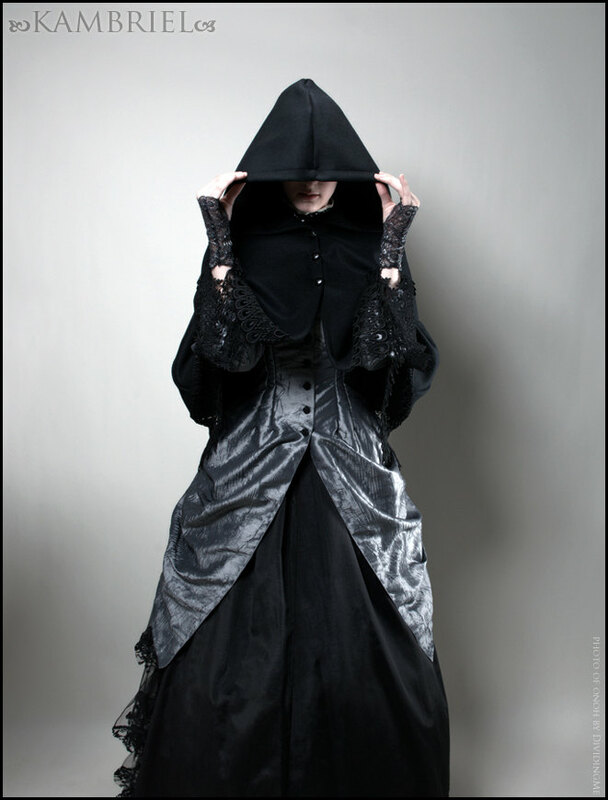 This single-layered, mid-length capelet has a full hood and closes with three black woven faux-leather buttons down the center front.